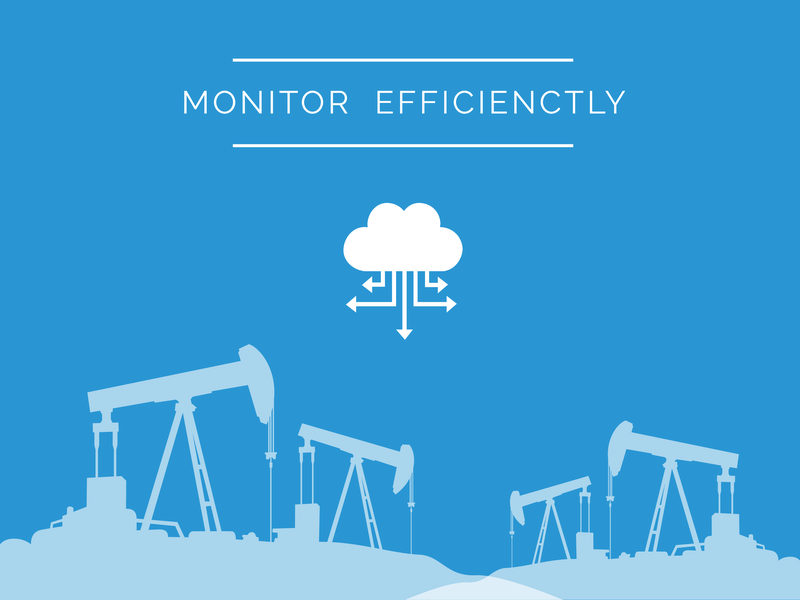 Remote monitoring provides several distinct efficiencies for field management. These efficiencies benefit both the pumper individually and the operator collectively. The number of wells continues to rise and those needing artificial lift now stand at 95%–virtually all wells must be monitored as a result. The need for efficiency is paramount. Simultaneous monitoring. You can be everywhere checking on every well at once if you use remote monitoring. Wells may be physically separated by many miles but you can see in real-time how they are all producing. You can identify problem areas and address them faster than possible, with remote monitoring. Effective Triage. Because remote monitoring allows you to monitor whole fields at once, you can prioritize tasks. You can create the most efficient schedule for visiting wells and prioritize based on the most pressing issues and the effect on production. Immediate action. If you see a problem through remote monitoring, you can take action right away. If a motor is under powered, you can ramp it up. If a pump is at risk for burn out, you can shut it down. If you need to get eyes on the well, you can dispatch field service. Quick reports. With remote monitoring, data is automatically collected, stored and organized for review. Operators need access to production data, trending, well costs and other data to make good decisions. By automating the process, remote monitoring delivers the data faster and relieves the pumper from tedious and error-prone data gathering and analysis. Valuable insight. Field level data gathered and reported remotely can give you insight into where to build staff, what training is needed and how to plan for service activities. Reduced cost. Pumpers and field service can reduce the miles driven and the associated costs by knowing which wells require a physical visit. Field service can organize physical visits to optimize travel time. Less wear and tear. Problems can be identified and addressed early. You can save time and money on mechanical equipment and minimize any production disruption. Rework and reconditioning can be kept to a minimum. Pumpers and field service personnel have plenty of work to keep them busy. With remote monitoring, you can optimize their time and create efficiencies for all around.